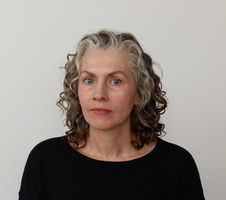 Tricia Wright was born in England and attended art schools in London, where she lived with her family before relocating to New York in 1999. She devotes the majority of her time to her studio practice, commuting between upstate New York and NYC, where she works at Judd Foundation. Tricia is also a freelance editor/writer; her most recent book, American Art & Artists, was published by Harper Collins in association with the Smithsonian Institute. She is also a freelance art guide, creating private tours of NYC museums and galleries. She has worked as a museum educator at numerous art historical sites including the Glass House (CT) where she designed the Art Focus Tour, Olana (NY), and Lyndhurst (NY) where she trained and managed a team of guides. Her works are in museum, corporate, and private collections.